Volunteer your time at State Parks and live rent-free (as well as utility free). It’s the perfect opportunity for retired couples or individuals or those who are disabled but are able to do some things in moderation. You’ll get to meet new people and there’s nothing quite like going to sleep or waking up to the sounds of nature. All you need is a tent, RV, or motor home. The below 4-season #glamping #yurt #tent is the perfect option to live in if you like camping with comfort as I do. It fits one or more beds and so much more, depending on the size you select. Including a heater, small refrigerator and even a trunk or dresser and you’d still have room. Fresh air and open spaces are on my agenda this summer. I had to take a break from camping for quite a few years, health-related, and I’ve been trying to make up for lost time since. 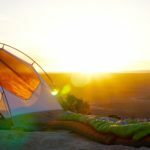 Today I have a list of my top favorite camping and glamping tents. I have been leaning towards glamping more, versus camping, as my bones seem to prefer a more comfortable way to camp. When you see my glamping tent, I’m sure you’ll agree that it’s the only one you’d ever need. It’s basically a yurt. I’ve recently volunteered to help at state parks in my area for 3 to 6 months at a time. I haven’t taken the plunge yet because I have a lot going on right now with traveling and the grandkids. But one day, I will have this opportunity waiting for me. I won’t be a whole lot of help due to my back issues but I can help a couple of hours a day as long as it doesn’t require bending, lifting, etc. Anything is better than nothing. They provide the camping or RV site in exchange for volunteering and it would give me a chance to explore areas I’ve not been before. Some parks even provide cabins. Of course I’d still have my apartment to pay rent for back home. I’d basically be living rent-free for the periods of time I volunteer. No hotel costs. No utility costs. I can still blog as I do now which I do from all over already. 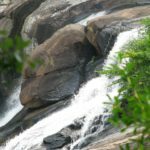 Because I’ve selected parks in Georgia, I’ll have plenty of help from my family to set up my glamping tent, bed and so forth. 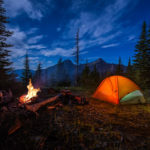 Having a glamping tent that allows for 4 season usage will give me the opportunity to see parts of Georgia I’ve not seen before just as I’d love to see it, spring, summer, winter, and fall, while being smack dab in the middle of nature. 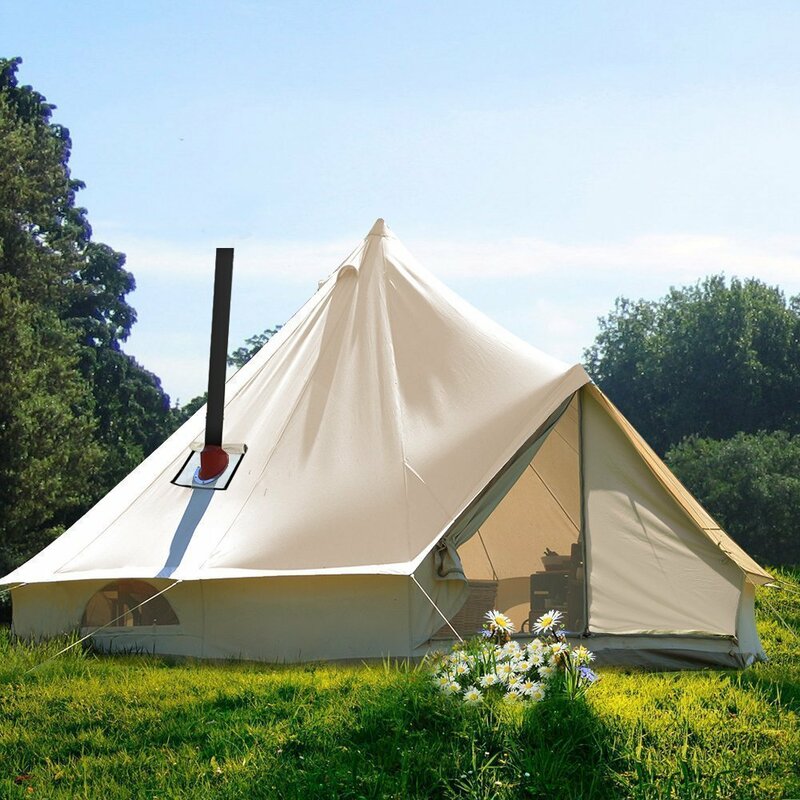 This amazing tent is a glamping tent. It’s dome-shaped and provides wide open space inside. 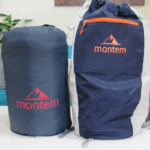 **UNISTRENGH Large Waterproof Cotton Canvas Bell Tent 4 Season Glamping Tent with Stove Jacket Hole. It’s created for all 4 seasons as its name suggest so it’s possible to have heat in the winter. Also as its name suggests, it even provides a stove jacket hole that is fire resistant. It’s a little pricier than the others, at $529. It’s available on Amazon which includes free shipping. When it comes to glamping tents, I wouldn’t consider any other tent. It comes in different sizes so you’re bound to find the right one for your family. I could probably give up my apartment to live in this tent and be perfectly content. However my kids would balk at the idea, lol. This first camping tent is Google’s top-rated tent for families and I can see why. It fits 10 easily which means the kids can bring along their friends and we’d still have room. 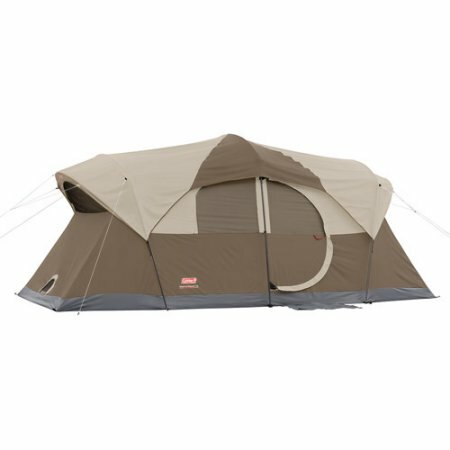 It sells on Walmart for $199 and I love everything about it; Coleman Weathermaster 10-Person Dome Tent. It’s claimed to be one of the easiest to set up tents on the market and I will have to try it for myself to see if that’s correct. While Google may have it’s own top camping tent pick, so do I and its the Ozark Trail 12-Person 3-Room Instant Cabin Tent with Screen Room. 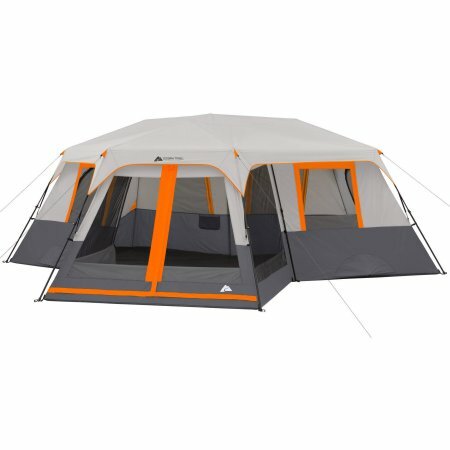 This tent is also available at Walmart and runs $239. It’s roomy enough that we won’t have to step over each other, I like that we can stand in it and of course the screen room is a plus so we can get away from the dreaded insects while eating. It will easily house a couple of small families. I’ve always believed that if I’m going to make a purchase I should weigh the pros and cons. This family sized tent checks off all my boxes. The next tent is a **CORE 9 Person Instant Cabin Tent. It’s making my list because it’s probably the easiest tent to set up, in the quickest time available. I like easy, especially when I’m on vacation. I don’t want anything to feel like work. Just unpack, unroll and extend. 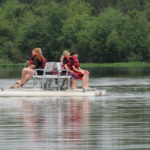 I’ve been known to take the kids camping by myself, and even though 2 are teens, I want easy for all. 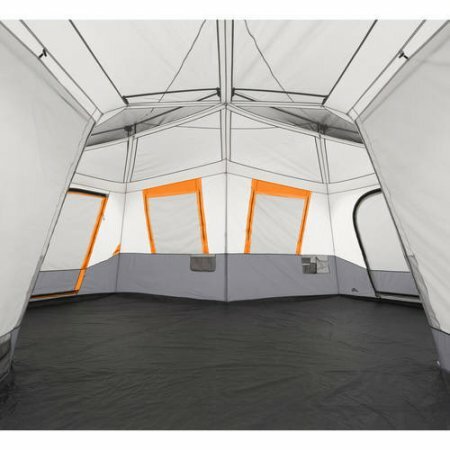 This tent is roomy and comes with a rainfly. It’s available at Amazon and runs $229, free shipping with Prime. Are you a camper or do you prefer glamping? 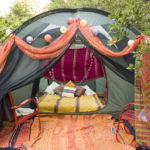 What is the one creature comfort you take along when you go camping or glamping?